Jura, which in Gaulish means 'forest', is a tranquil department covered in blue lakes, deep caves, stunning waterfalls and, of course, lush and abundant forests. The place is remarkably untouched by tourism. The economy mostly revolves around agriculture with wheat, oats, maize and barley making up the main bulk of its produce. The wine is mainly produced around the towns of Arbois, Poligny, Salins and Voiteur. On the market stalls and in the many fine restaurants you'll be able to relish some of the superb cuisine on offer. The department is very proud of its cheeses. The favourite is Comte, although Morbier, Vacherin and Cancoillote a l'ail must also be tried. There is also a lot of choice when it comes to wine. Jura is home to a very distinctive variety called Vin Jaune, which must be produced here and aged for at least seven years. Lons-le-Saunier, home to 20,000 people, is the Jura's departmental capital. The healing properties of the waters from the town's spas make this the destination of choice for those suffering from a variety of ailments, including rheumatism and psoriasis. 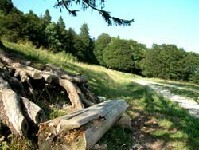 However, the town also makes a great base for anyone wanting to explore the lush Jura plateaux. The town's most famous resident was Rouget de Lisle who was born at number 24 Rue du Commerce. He was one of the architects of the French revolution, although his talents lay in poetry and music rather than fighting. His main contribution to the new France was penning the national anthem, the Marseillaise. Arbois is a pretty town in the heart of the wine-growing region. The locals, who now number around 3,500, have a fiercely proud and independent reputation. The town has long been the setting for revolution. In 1834 they gleefully heralded the Republic, not realising that they were the only ones to do so. Eventually Louis-Philippe took back the city and was determined to find out who started the trouble. The answer became an infamous quote across the land, 'No sin tous t'sefs'. If you'd like to try some wine then you can head into the main cellars open to the public. St-Claude is the main focus of tourism for the department. 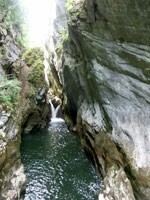 It is sandwiched between two tranquil rivers with picturesque countryside all around. The large bridge, which crosses the Tacon River, will give you breathtaking views of the town and its surrounding environment. Pipe making and crafts are the chief industries. The nearest airports with direct flights from the UK are Lyon and Geneva. If you'd like to travel by land then the TGV will take you from London to Dijon in just six hours. Prices are increasing throughout the department yet still represent real value for money. The Jura's particular advantage is an incredibly strong rental market, especially around Lons-le-Saunier, which makes any property here a sound investment. Do you know Jura better than we do? Do you have photos of Jura? The Jura department of Franche-Comte is located in the south of the region.